Guest commentaries for today are from brother Caleb Gordon and sister Sonya Schweighardt. We should never elevate one member of the body of Christ higher than another, as is clear in Scripture. Today I do want to say how thankful that I am for everyone’s participation in this study. Although we do have one more day to go, please know that I am honored to know everyone of you. Today many of you will be meeting this brother and sister for the first time (as you will meet a new brother tomorrow as well). I am thankful for their time and energy in this project. I would encourage you to check out their links and contacts below. Sorry for the layout today. I cannot seem to get this page laid out right yet. Will work on it. We are in a race! The thing that is so mind boggling is that even though we KNOW we are in this race, so many of us are dressing and acting like there is no race. We surround our lives with so much of the things that tie us down, we ignore the idea of Godly/Biblical community due to our perceived notions that being in said community will be the thing that ties us down. When in reality when we engage the church and do life with the people of God it is much easier to lay aside the sin that does cling so close. My challenge to us to make our foundation and focus Jesus Christ and his Word, and to place ourselves in a community that truly causes us to seek holiness and righteousness. And when we strive for these things according to Heb. 12:14 we will see the LORD! Recently I attended a church service in Uganda. The topic…faith. The pastor deﬁned faith as having complete trust in someone or something. For the Christian, it is a strong belief in God. From our human eyes we can look at faith as being risky. We don’t know what is to come. We have never been promised a life that would be easy or without trouble or trial by having faith in God. In all actuality, walking in faith does come with trials and tribulations. They are faith shapers! “But now, O Lord, You are our Father, We are the clay, and You our potter; And all of us are the work of Your hand,” (Isaiah 64:8). Hebrews 12 starts off as a continuation of chapter 11 with a continued emphasis on faith. It is encouraging to the reader to observe that we do not walk or run this race of faith by ourselves. We have a “cloud of witnesses surrounding us” (vs 1) which gives us hope as it is like having our own personal cheerleaders on the sideline encouraging us to continue to push forward. It is by their witness…their faith walks… that we can ﬁnd encouragement. In our family we often read the YWAM stories of great missionaries who pushed through in faith to ﬁnish the race that God called them to. The common theme throughout everyone of their stories is one of drawing from the accounts of the Bible…ﬁnding hope and encouragement from the saints who had gone before them. Through this cloud of witnesses we are encouraged to “lay aside every encumbrance and the sin which so easily entangles us” (vs 2). To run this race of faith to our fullest ability, we must get rid of the heaviness of any sins that may be in our life. If we think in the terms of an athlete and his training, he has to have himself in the best shape possible to run the race. He has to eat the right foods, wear the right clothes for the competition, build his endurance for the long race ahead. If he does not follow the strict guidelines that are put forth, then it will be difﬁcult to push forward in the race because he will not be properly trained and in the right shape. We have to have the heart change and relationship with God our Father to be able to run this race. But sin separates us from the Father and does not allow us to see properly. The weight of sin bares down on us and makes it virtually impossible to move forward. Life is ﬁlled with terrifying moments, and we cannot stop the onslaught of fear any more then we can hold back the wind. But we can always choose our response. The very winds that cause the eagle to soar later in life terriﬁed it when it was an eaglet. Allow fear to drive you toward God. So as we run this race…this gruesome race…a race that requires endurance; we run it knowing that we are running towards God. It is a race that is set before us. When I think of something being set before me, I think of it as being purposeful. God purposefully set this race before us. Why? Because it is a faith building race. A race that requires us to trust not what we see right in front of us, but to trust in what we cannot see…God. 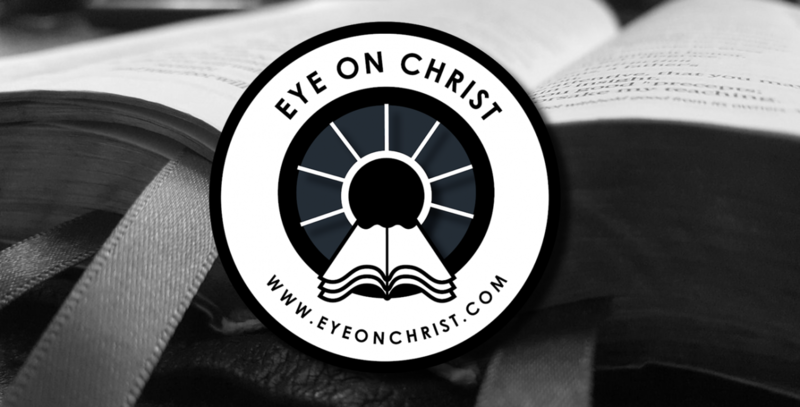 “…ﬁxing our eyes on Jesus…” (vs 2) Our eyes should be set on Jesus. He is our strength to push through the race. Our endurance does not come from ourselves, but from God alone. So often in this world as believers we choose to try to ﬁnd our strength in worldly things or people ﬁrst, and then as a second thought, often when all else fails, we then turn to Jesus. That only causes us to fall back in the race. It is an obstacle that prevents relationship growth. Not only is Christ our strength as we ﬁx our eyes on Him, but He is also “the author and perfecter of faith.”He is writing our story through the race that has been set before us. I love that the Word tells us that God is the Potter and we are the clay. Clay is moldable and pliable as long as it remains in the Potter’s hands. The potter’s hand shapes the clay. That is what God is doing with us as He is authoring our faith story. I have decided to share some music from Sonya’s daughter, Hannah and son Daniel. You can reach Hannah’s youtube page here. Enjoy!